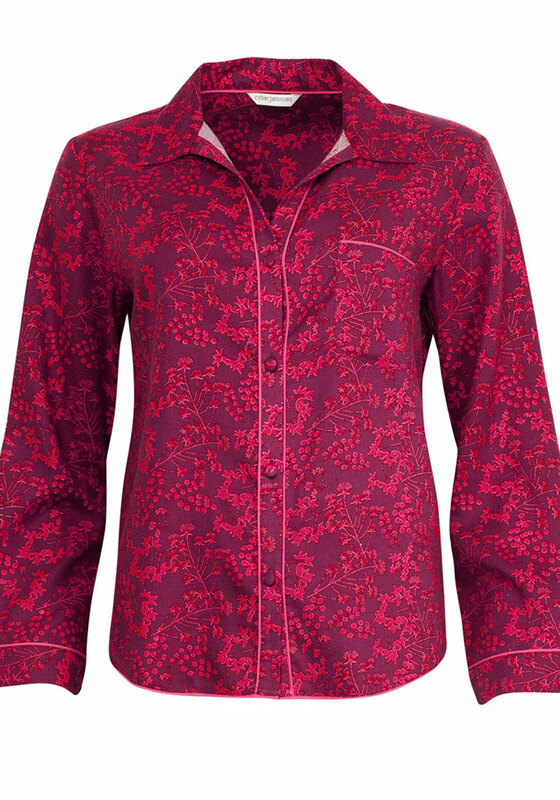 Relax in the evening and mornings in comfort and style with the gorgeous wine Deck The Halls pyjama top from Cyberjammies which features a floral print throughout. Crafted from soft and cosy lightly woven cotton blend fabric. 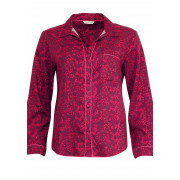 Finishing touches include an open neckline with button placket and a chest pocket.